The Gym Doorway provides an inexpensive way to tone and build muscles at home, without large equipment or marring your doorframe with installation screws. 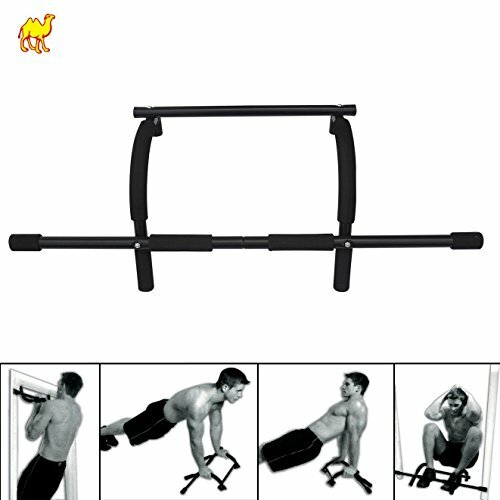 This is a highly versatile and convenient piece of home fitness equipment. The Xtreme Doorway Gym attaches and removes form standard door frames 24 to 32 inches wide (70 to 78cm) easily. Keep away from children under the age of 12 and pets.